Revolutionary times call for escalated reactions. Perhaps it was the only glimmer of hope when 36 of our brothers were massacred by the Egyptian army last month. Surely, it is an inevitable phase that we have to go through to reach victory with our #Jan25 struggle. It’s a challenge whose acceptance is far easier said than done. It’s doable, until you start to get a feeling for how far SCAF, fully backed by the US and overlooked by Israel, are willing to go. Surely enough, Maspero’s bloodshed wasn’t sufficiently a crime on its own, and consequently, SCAF called in comrade Alaa Abdel-Fattah for investigation on charges of inciting violence between the mostly Coptic protesters and the army on the 9th of October. I don’t need to go through how horrendous the case is from start to finish. I think the fact that fellow leftist and comrade Mina Daniel, who was tragically murdered by the army from a high point that night, was also charged and called in for investigation, shows just how little legitimacy could be left for SCAF and their authority. I haven’t always agreed with Alaa’s strategies and tactics to their fullest extent, but we have always shared that same dreams and objectives along with millions of Egyptians aspiring for an Egypt with bread, freedom, and social justice. I have always thought highly of him, and am proud that our beloved #Jan25 is armored with a hero who is wholly dedicated to our struggle. His willingness to sacrifice himself entirely for the good of everyone is unprecedented. And although it is another step closer to victory in the ongoing revolution, I cannot hide the fact that Alaa’s detainment proved to be a lot tougher than I had initially hoped for. It’s a wake up call for the expensive price of freedom, and it makes one value the struggle on the one hand, but curse the incomprehensible cost on the other. 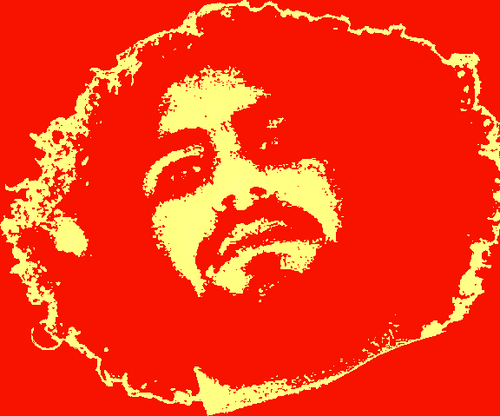 I just didn’t think that the news of Alaa in military prison would affect me so strongly. But it did. As it will, when he’s released. And as it will, when our fight reaches victory. Revolution’s just getting started, and Alaa Abdel-Fattah wasted no time in making it happen. Power to the people, and justice will prevail. Whoever, if anything is ridiculous, it´s probably YOU! Tarek, thanks for this warm and personal blogpost! What you are struggling for is, as you wrote “bread, freedom, and social justice”… These are fundamental human rights and in time you will get them…no doubt about that! Whoever: I’d like to think that, even if we haven’t done everything we possibly could to fight SCAF’s arrival, we were in no way receptive. How much have you done? Judging by the fact that you didn’t even have the courage to spell out your real name…not much. TT: Thank you very much. Let’s make as much noise as possible about Alaa and military trials for civilians.